We all have cars that we feel ashamed for liking. Whether they’re boring or just flat-out stupid looking, some cars we just can’t help but like them for one reason or another. I’ve nearly incapable of feeling automotive shame ever since I daily drove both a Toyota Camry and Chrysler LeBaron but I even have a few cars I’m almost afraid to admit liking. 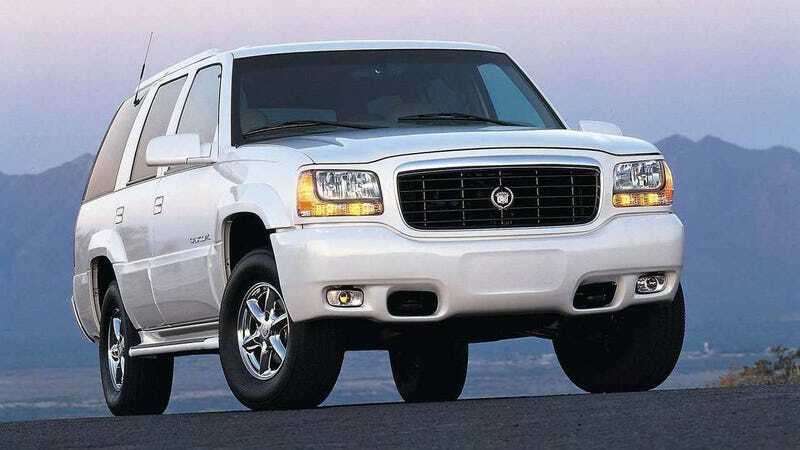 But that’s not what Jalopnik is about so I will now publicly admit that I’ve always wanted to buy a first generation Cadillac Escalade. It’s so ostentatious and stupid that I love it. Since I’m not a suburban mom from 13 years ago or an aspiring rapper who’s down on their luck, I’m too embarrassed to ever actually buy one. Show us the cars you haven’t built up the courage to buy. Jalopnik is an accepting place. We won’t judge.